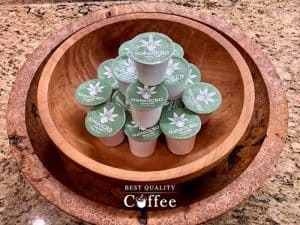 Naked CBD Coffee Pods use high-quality lab-tested CBD in their premium coffee. It's one of our favorite CBD coffee brands on the market and for good reason. Their coffee is good, but based in our experiences their CBD is phenomenal. For more information on this brand, check out our Naked CBD Coffee review. For this month, get 25% off your entire order by using this Naked CBD coffee coupon code.